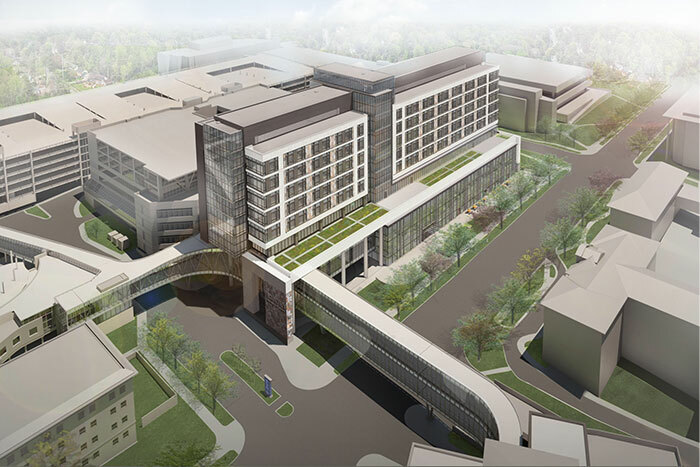 Emory University Hospital's new J-Wing will feature 232 patient beds, patient care units for cancer care and transplants, ICU rooms, and diagnostic and treatment spaces. 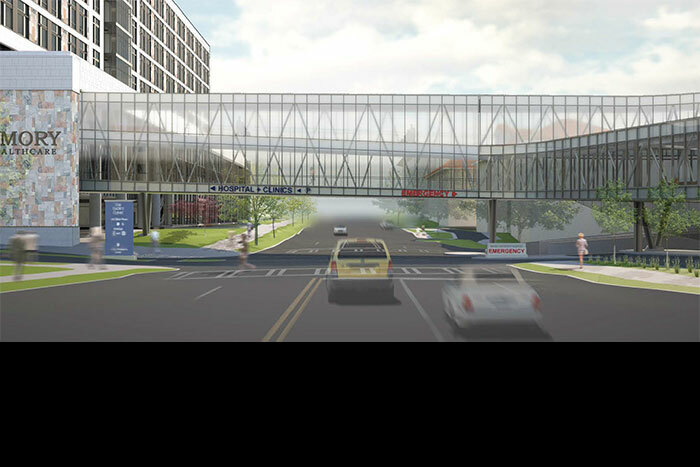 A new, two-story pedestrian bridge over Clifton Road will connect Emory University Hospital with the new wing. 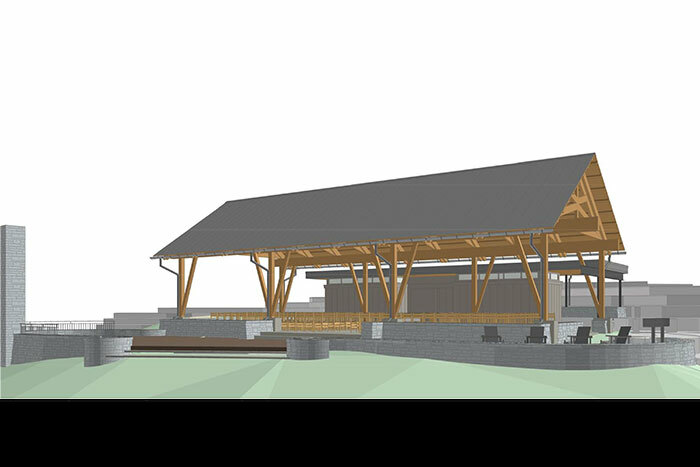 The new Campus Life outdoor student pavilion, located across from the Chappell Park baseball field, will provide flexible programming and informal social space for student activities. Construction continues on the new dining hall on the Oxford College campus. New construction continues to be a focal point along the Clifton corridor this fall as work advances on the new wing for Emory University Hospital in tandem with planned improvements to streets, sidewalks and landscaping on Clifton Road. Meanwhile, a variety of construction projects will create additional amenities for students, faculty and staff on the main Emory University campus, as well as the Oxford College campus in Oxford, Georgia. Work continues on the hospital’s new J-Wing, a 450,000-square-foot state-of-the-art facility that will feature 232 patient beds, patient care units for cancer care and transplants, ICU rooms, and diagnostic and treatment spaces. The new wing will also house anesthesia and pre-operative services and radiology. A food court will offer multiple dining options to patients and visitors, and an underground parking deck will provide additional parking spaces. This month, a “topping out” ceremony was held for the addition, as construction reached the ninth and final level of the new building, which is located on Clifton Road across from the Emory University Hospital. Ongoing construction will focus on interior and exterior finish work. The hospital addition is expected to open in the summer of 2017. Over the summer the super-structure for a new two-story, steel and glass pedestrian bridge — a conduit that will connect Emory University Hospital with its new J-Wing hospital tower — was installed over Clifton Road. Finish work will advance on installing floors and glass walls on the bridge, which will connect to the main hospital on both the second and third floors. Once the new bridge is in operation next spring, the hospital’s existing pedestrian bridge will be torn down. This semester, ongoing construction will have an impact on traffic and may require periodic lane closures along the section of Clifton Road that lies between Gambrell Drive and Uppergate Drive. Drivers should allow for extra time and plan routes accordingly. Clifton Streetscape, a project intended to improve access, safety and visual appeal along Clifton Road, launched this summer and is expected to run through late spring/early summer 2017. Spanning nearly a half-mile from Haygood Drive/Eagle Row to North Decatur Road, the project includes repaving Clifton Road, widening the road and sidewalks, the installation of new landscaping and street lighting, and creating new access points along the Clifton corridor. At North Decatur Road, a right turn lane is being added for west-bound traffic heading into Emory Village. The road and streetscape enhancements are intended to improve the patient and visitor experience at Emory and enhance overall access for those who travel Clifton Road. Project completion is expected to coincide with the opening of the hospital’s new J-Wing, which is scheduled to be ready to receive patients by next summer. For more details on the project, including updates on how construction may impact traffic, visit the Clifton Streetscape website. Construction is wrapping up on a new Campus Life outdoor student pavilion, located across from the Chappell Park baseball field, which is intended to provide flexible programming and informal social space for student activities and other campus functions. This popular campus restaurant has undergone extensive renovations, with an entirely new interior that features cozy booths, traditional café seating and large communal tables with amped-up power supplies, USB outlets and Wi-Fi service. Food and beverage service will be provided by Kaldi’s. A new 55-ton boiler capable of producing 100,000 pounds of steam per hour was delivered to Emory’s Central Steam Plant last month, taking its place with Emory’s four other industrial boilers that help power campus heating systems for the University and Emory Healthcare. The new boiler will be operated at a higher pressure, allowing the use of a steam turbine generator that is expected to produce electricity for the steam plant and several additional buildings. It will also be used to reliably meet the new steam demands of Emory University Hospital’s new J-Wing addition. 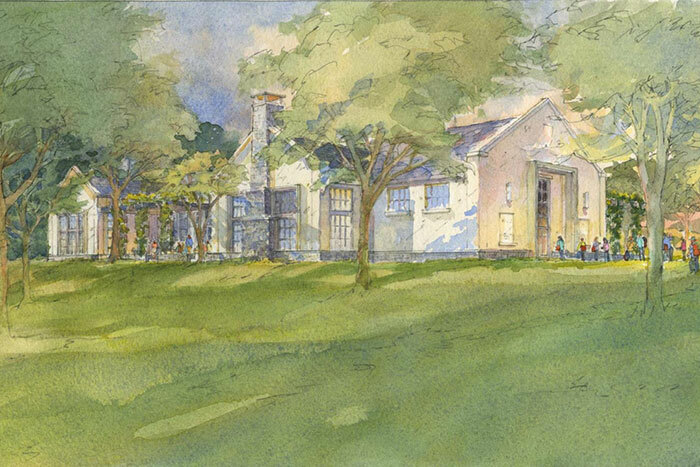 Following the opening of the new Oxford Science Building earlier this year, the Oxford campus is moving forward on construction of a new dining hall, located at the intersection of Wesley and Pierce streets across from the current dining hall and the Ox Grill. The facility is expected to open in the spring semester.